Go to Breakout EDU for concept details. Peruse the games to find one that aligns with your curricular standards. Watch the set up video. Verify that the media center has the components you will need to complete the Breakout, or, make adjustments to accommodate the materials available (and/or supplement with your own materials). Determine the space within the school that will best serve your Breakout. Begin the planning and implementation of your lesson. If you would like to collaborate with the media center (not required, of course) to plan for instruction, please email Erin Baker to schedule an appointment. 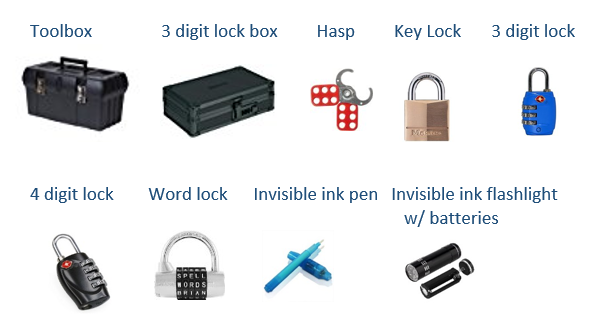 *Be sure to check out the blog posts tagged Breakout EDU (type Breakout into the Search box at the top of this site) to learn about a few of the Breakouts that the media center has led.